Kyle Shafiee is currently pursuing his Doctoral of Musical Arts Music Degree at the University of Southern California, Los Angeles, studying with Bernadene Blaha. He began his musical studies at the age of ten and studied with Dr. Scott McBride Smith through his high school years. He graduated as Outstanding Graduate for the Keyboard Studies Program from the Thornton School of Music with his Masters of Music degree and was awarded the Brandon Mehrle Service Award. Kyle has performed concertos in concert with the Vienna International Orchestra, Valencia International Academy Orchestra, San Bernardino Symphony, Antelope Valley Symphony, University of California Irvine Symphony, Thousand Oaks Philharmonic, Torrance Symphony, and at the Orange County High School of the Arts. 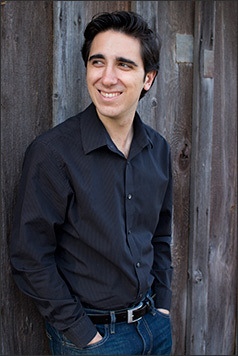 He has won numerous awards and honors, including top prizes at the Los Angeles International Liszt Competition, MTAC Piano Solo Competition, Edith Knox Young Artists Competition, SYMF Piano Soloist Competition, MTAC OCCN Concerto Competition, CAPMT Bartok Festival, MTAC Irvine Concerto Competition and the MTAC Regional Southern California Bach Festival. During past summers, Kyle has studied at the Altenburg Music Academy in Austria with Robert Lehrbaumer and Robert Ward, the International Summer Academy of Music in Ochsenhausen, Germany with Daniel Pollack, the Valencia International Piano Academy in Valencia, Spain, and the Summer Piano Institute at the University of Washington with Robin McCabe and Craig Sheppard. He has worked in master classes with Yong Hi Moon, Hamish Milne, Kevin Fitz-Gerald, Antoinette Perry, Thomas J. Lymenstull and Eduardo Delgado. In addition to his studies, Kyle is an Assistant Lecturer at the University of Southern California Thornton School of Music and maintains a private teaching studio in Orange County.